Never miss another call, thanks to the Xtra Ringer 8155 wireless ringer amplifier. 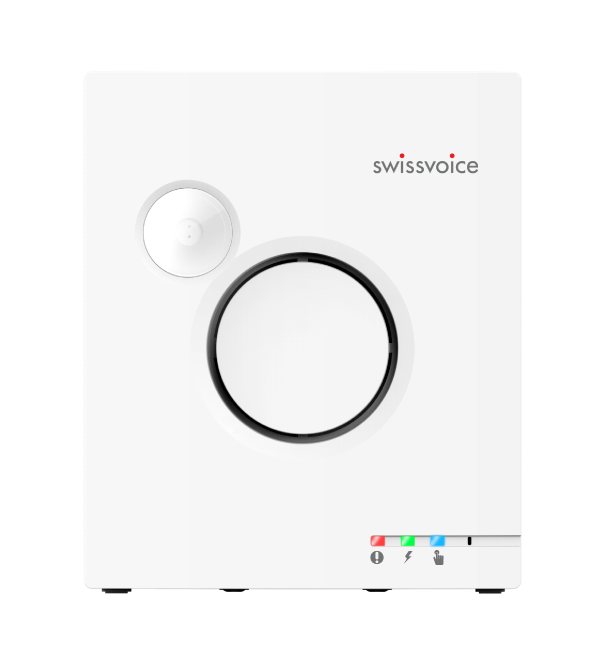 Xtra Ringer 8155 is an accessory exclusively for Swissvoice Xtra 2155 and Xtra 3155 DECT telephones. Extra-loud (90dB) ringer amplifier, also equipped with a flashing white LED to announce messages. Choose between 4 alert modes, depending on your needs: melody and flash / melody only / flash only / all off. Choose between 3 melodies by moving a slide switch; likewise for the ringer volume (low / medium / high). Up to 30 (thirty) ringer amplifiers can be added to your Xtra 2155 or Xtra 3155 telephone. To make sure you never miss a call.